StereoFonics set to kick off the Sunday stage! This year the Festival welcomes StereoFonics to the line-up, and they will be kicking off the Sunday stage for us! The Stereophonics cover band will be bringing an array of their hits, which will be certain to get the Sunday party started. This is the first time the band have performed at the Festival, and we are very much looking forward to having them along for the festival ride! I caught up with the band and posed a few questions to them about their music and their debut performance at the festival. Some of you have played Festival in The Park previously? Tell us what is special about it? For the majority of the band this is their first time playing the Festival in the Park. Nick our drummer played with Who’s Brian and Ed 7/8years ago now and loved the festival. Bands, solo artists and various arts all sharing one stage, it’s a great achievement. We’re hugely excited to be performing in Ashford and one of the best ‘local’ festivals in Kent. So it is the Stereofonics debut performance at the Festival, what can we expect from you guys? 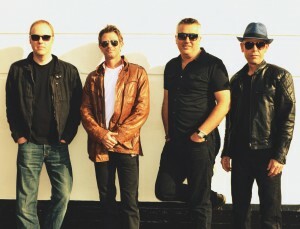 The StereoFonics is a hugely talented group of musicians who all love the music created by Kelly Jones and the ‘phonics’ … We have taken the current 2016 touring set and taken 13 of their best songs. Be ready to sing your hearts out to ‘Maybe Tomorrow’, ‘I wanna get lost with you’ and ‘I wouldn’t believe your radio’. The StereoFonics is the closest tribute to the band you will hear in Kent this year. To have access to live music locally and accessible to kids is vitally important for their development. Children, who learn instruments or who perform in the arts will gain self-esteem, develop social skills and gain confidence. All of the StereoFonics musicians started playing their instruments when they were kids and have played stages all over Europe. Finally….This is the Festivals 11th year! As a local band do you feel it is important to have this kind of event available to our local community?